One of my husband's favorite salads is the Caesar. A perfect blend of crunchy Romaine, robust Parmesan, and garlicky croutons, all topped with a deliciously creamy dressing. It's a salad fit for...a Caesar! Because it is my husband's favorite, I decided it was high time that I came up with a great recipe for him. The dressing is the make or break element in this salad. There are a so many variations out there that it might seem overwhelming - you might be tempted to just go buy a bottle. Well - don't! Caesar dressing is actually quite simple to make and homemade tastes so much better than store-bought. There are a couple important things to know. First, fresh lemon juice is a must. Neither bottled lemon nor vinegar give the right flavor. Second, real Caesar dressing has anchovies. I know what you might be thinking - yuck, right? Not at all - you truly cannot taste them. But you will miss them if they're gone. So, next time you're in a salad mood, why not give the classic Caesar a try? It will be all the more delectable with this fabulous dressing that you made with your own two hands! 1. In a medium bowl, stir together the sugar, black pepper, and mustard powder. Stir in the lemon juice. Stir in the garlic and anchovy paste. Stir in the mayonnaise until smooth and well blended. Stir in the Parmesan. 2. Taste the dressing. Add salt to taste (I added 1/8 tsp). 3. Cover and chill until ready to use. 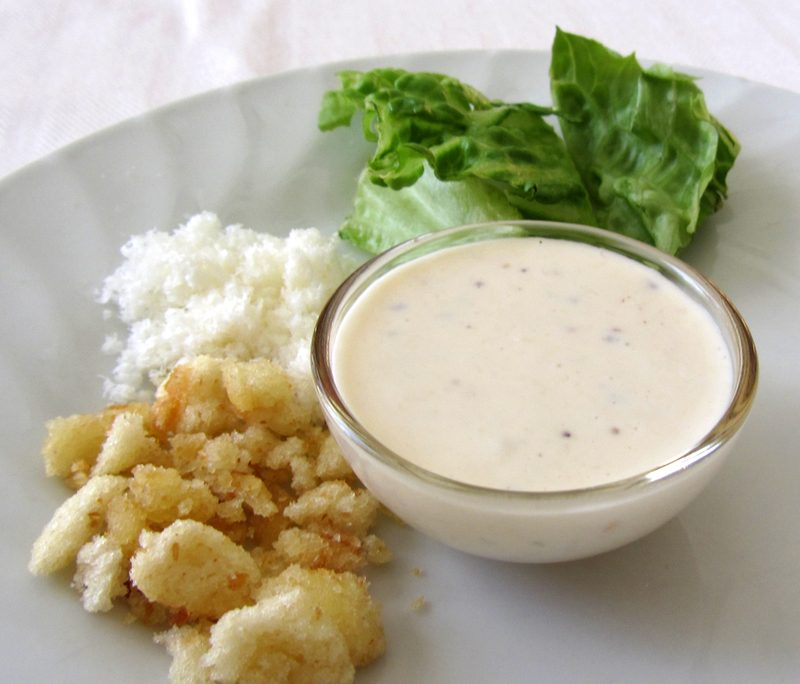 The dressing can be served immediately, but is even better if you let it rest for an hour.